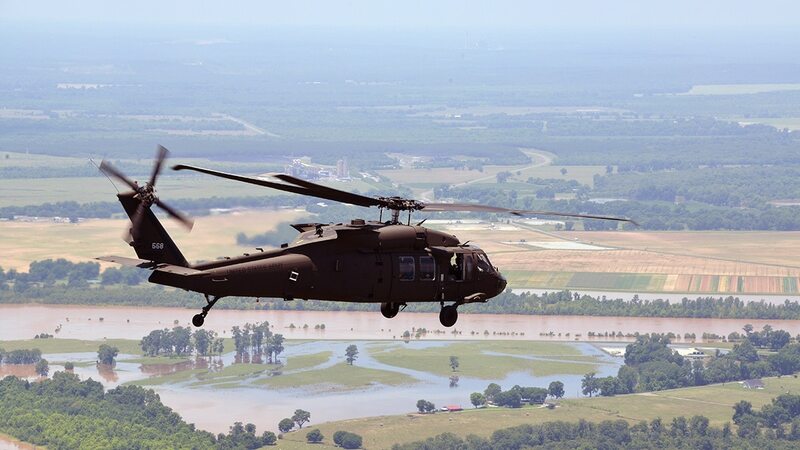 WASHINGTON — Latvia has been cleared by the U.S. State Department to buy four UH-60M Black Hawk helicopters, in a move to bolster the NATO nation’s ability to move forces around the alliance’s eastern flank. The sale has an estimated price tag of $200 million, which covers the four rotorcraft, 10 engines and associated equipment. As with all announcements by the Defense Security Cooperation Agency, the sale must pass through the Senate, at which point negotiations can begin; total quantities and dollar totals often change from the original DSCA announcement and final sale. If you want to buy an American weapon, a fee could be going down. "The sale of these UH-60 helicopters to Latvia will significantly increase its capability to provide troop lift, border security, anti-terrorist, medical evacuation, search and rescue, re-supply/external lift, and combat support in all weather,” the statement noted. The prime contractor for the helicopter is Sikorsky’s location in Stratford, Connecticut; the engines will be produced by General Electric Aviation Company in Lynn, Massachusetts. There are no industrial offsets associated with the potential deal.